This week for the party I decided to bring dessert, you can never have too much pie IMHO. I got some O’Henry Peaches from Food52 via Frog Hollow Farm, they were expensive but I was intrigued having never heard of O’Henry Peaches and wondered how they taste in comparison to the peaches I get at the green market. Well, let me tell you they are pretty amazing, luscious, tart sweet, juicy, I could go on and on. I don’t think I have had a peach that good since I had some Georgia peaches years ago. So enough about the O’Henry’s, these little pies are pretty special not just because of the peaches. The pie crust is Julia Childs master recipe that never fails me, it’s buttery and flaky and delicious. I thought it would be nice to add a glaze or drizzle to the pies, I found this wonderful full fat farm fresh buttermilk and wondered how that would be as part of the glaze with some molasses. The glaze is wonderful, simply mixed buttermilk, molasses and powdered sugar and drizzled on top of the still warm pies. The glaze is a little tangy, has some depth from the molasses and is great with the peach pie. As always the main event is hosted by Angie@The Novice Gardener and this weeks co-hostesses are Selma@Selma’s Table love selma and her great blog and Jhuls@The Not So Creative Cook (she is really very creative). Hope you all enjoy!! Combine everything in bowl and set aside. Roll dough quite thin, it should be thick enough that it doesn’t break but try to roll as thin as you can. Cut into rounds and lay on parchment lined baking sheet. Make an egg wash with beaten egg and milk or water. Brush some of the egg wash on the edges of one of the rounds, put a heaping tbs in the middle and place another round on top. Gently press edges together and crimp with a fork that you dip in some flour. Repeat. Cut vent in the top of each pie, brush with egg wash and sprinkle with a little sugar. Place in the freezer for 15 minutes before baking then bake for 35-45 minutes until golden brown. Let cool for about 10 or 15 minutes on a rack then drizzle some of the glaze on top. I like to serve warm. In small mixing bowl add the powdered sugar, mix the molasses and buttermilk add by the tbs until the glaze is thick and a drizzling consistency. I wish you were my neighbor! I love Fiesta Friday!!! I wish we were too, we could have wine together, I could learn a lot from you. Thank you. Hi Suzanne, what gorgeous looking hand pies, love the glaze you prepared, very creative! Will have to try those particular peaches. Happy Friday! Thanks Cheri, the glaze on the pie is great. Oh yes, love the peach bandwagon, there is nothing like a ripe juicy peach. YUM! I agree you never can have too much pie. Or cakes! Your recipes are always that little bit different, so even if I don’t get around to making them I love reading them. Happy weekend. Thanks so much, I see countless recipes I want to make from so many wonderful blogs and I wish I could make every recipe but it’s impossible. Thanks you so much for reading that means a lot to me as do your kind words. Ha yes no quibbling, thanks Chefjuliana!! Loved these hand pies Suzanne! Peach stuffing and glaze is so cool. Is it okay of I skip the lard in the pie dough? Yes of course use vegetable shortening I use Spectrum, it’s really a good product. Thanks so much Sonali! ciao! just saw the film ‘1000 foot journey’…food unites in magical ways…feel so connected to your table…your sharing made me feel there:) ordering peaches…they are a luvFAB fruit. Must see that film and thank you so much. Peaches are one of the best parts of the summer! I love hand pies, these look wonderful! I need to join in on this Fiesta Friday! Yes please do, just join in. Super easy and fun!! Thanks Sarah. Hi Sarah – sorry to scrape in (I am one of the co-hosts this week…) but we would love to have you join us! You may submit a post until Tuesday so get your pool party gear on and join in the fun!! Ok, I think I did it right 🙂 Can’t wait to participate weekly with you guys! YAY, can’t wait to see what you brought! These look AMAZING. I love anything to do with Frog Hollow Farm. Their quality is unsurpassed!! This was my first time having frog hollow fruit and it’s amazing! You are so right the quality is outstanding. Love their fruit, I got the nectarines and peaches and the nectarines were so good, the first bite was so delicious it almost hurt, LOL, not really but it’s just so hard to describe the sensation. What??? These look too good not to devour in one sitting. Yum. I don’t know why I”m such a sucker for handpies. They’re just so perfect. What a wonderful and simple recipe. I always get nervous when handling dough though. I think I”ll have to start with this and see if I can get over it. Amanda, this recipe is always perfect. It has never failed me. Try it, it’s really not hard to do at all. Thank you so much. I love it too, thank you so much. Suzanne – first off, thank you for the lovely words about Jhuls and me. I am so desperate to know more about Frog Hollow Farm and taste these incredible peaches – I must say that proper peaches are something I do miss here in London – it’s just not the same as what I remember from my years in Canada. We used to get fruit from the Okanagan Valley in BC which was wonderful. I love your hand pies – the glaze sounds perfect for the sweetness of the peaches and the pastry sounds and looks fabulous. Have you ever tried grating frozen butter into the flour – I keep meaning to try that method. Perfect pies for our pool party – I can’t see them lasting long! Thanks for bringing these with you and Happy Fiesta Friday to you! Thank you so much Selma, meant it btw, love your blog and your recipes. No never tried the grating method. I have hot hands, really I do, i am afraid I would melt even frozen butter so I am afraid to try it. LOL. I use my hands and my handy dandy pastry cutter. I don’t like using the food processor for a flaky dough. I like to see bits of butter in the dough when I roll it out, makes it extra flaky. Love a pool party!! My Granny raised 12 kids during (and after) the Great Depression. 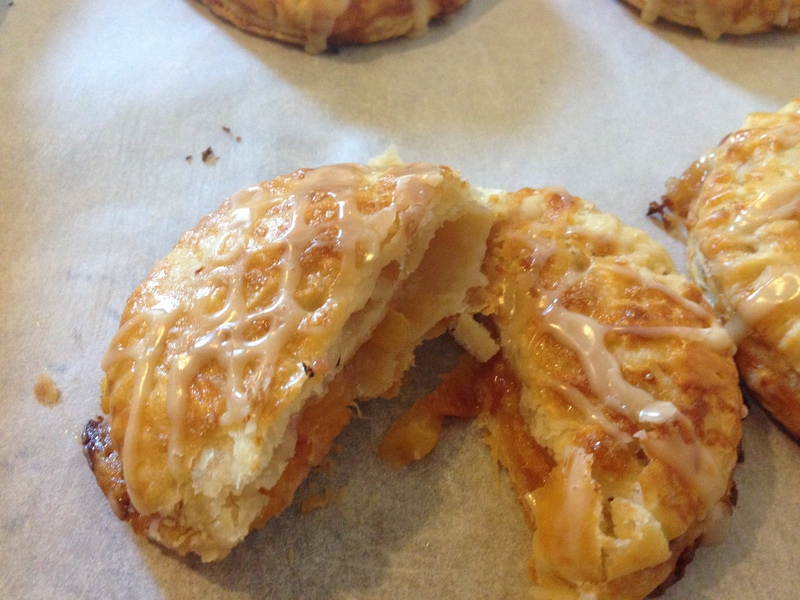 She made fried peach pies and then made more — from just the peelings! They didn’t taste like regular peach pies. But they were seasoned masterfully so they didn’t taste like peelings either. Of course she never used a recipe. Neither was it passed to me. (Not a close family.) It was probably lost with her, since my aunts hated them. I gathered that it mostly represented poverty to them. Gigantic hugs to you and yours. Oh I love fried pies, tried it once and it was a big FAIL for me, a greasy blobby mess is what it was. I did something or everything wrong I guess never tried again. Peels really, wow!!! Hugs to you Teagan, thank you so much. Thanks so much Peach pie is always a favorite, the kids love it! Thank you so much, I love small pies or hand pies, perfect portion and easy to eat! Love the hand pies! The molasses you’re using, is that syrup (which I can’t buy here) or like the brown sugar I can buy over here? The molasses is a syrup like treacle, I forget the difference in terminology. It adds a little sharpness to the creamy tang of the buttermilk. Oh those brownies sound wonderful. Can I still access your site to look at the recipe? It certainly would be perfect with some vanilla ice cream. Your recipe would be great with these little pies. Thank you. These look so good Suzanne and your description is wonderful – such great food writing. Happy Fiesta Friday. Really, wow thank you so much. Coming from you, a prolific and gifted writer that is the supreme compliment, Thank you. 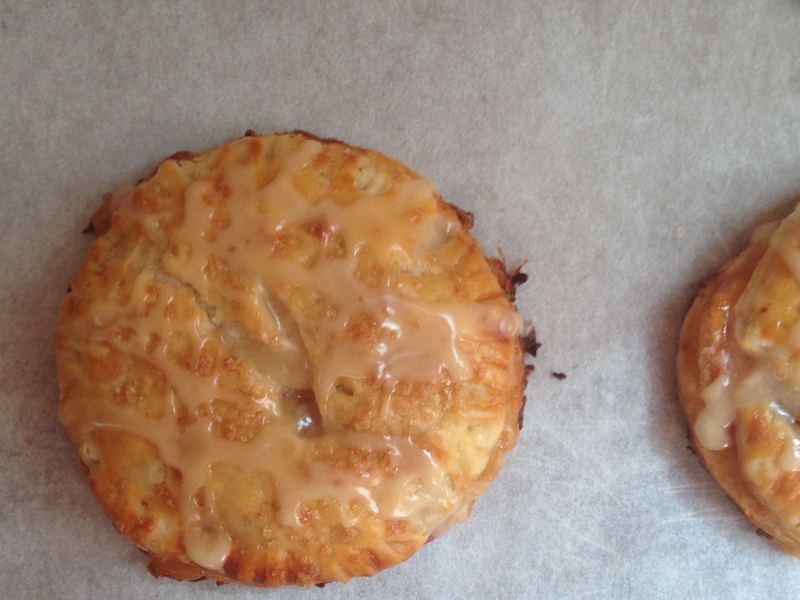 These hand pies look so yummy–what a special dessert! LOL, swimsuit, well mine is hidden under a full length long sleeve cover up.Thank you. It went well, thanks Uru! What cute little surprising hand pies! I would love one of your tarts, they are so lovely would gladly trade. Thank you. These hand pies look delish! These look so gorgeous Suzanne. Thanks Radhika, I had fun making them and I always love pie. Gorgeous Suzanne! Loved the glaze. Have a great weekend! You too Viviana and thank you so much. Yep and its really nice on the pie. Thanks Mr. Fitz! Wow Suzanne these look delicious! You are so slender you will look lovely at the wedding, as for me, I should be on a diet but am not right now. I really need to. Thanks Francesca the little pies are delicious, I just love peaches. hands-down (pun not intended, haha) the best hand pies I’ve ever seen. That glaze takes it over the top! You are so sweet thank you so much. Thank you so much. I also love the glaze. Wow Suzanne marvelous. ..am just back from my vacation and enjoying the pictorial feast of all delicious foods…your peach pies with glaze is just fantabulous and looks inviting. .. feel like grabbing one. ..hope your pettys are doing good. ..hugs and kisses to them…. Thanks Chitra, I hope you had a wonderful vacation. The doggies are hanging in and doing ok, thank you for asking. 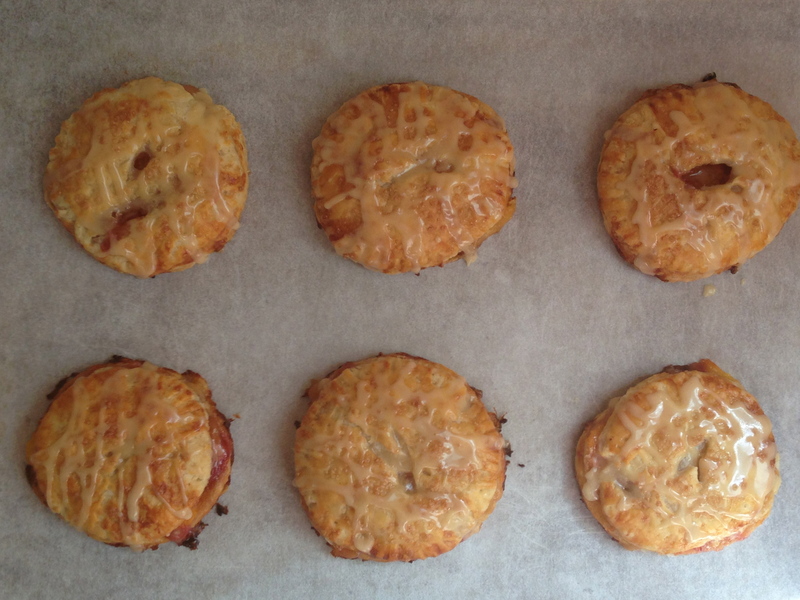 Oh I love this hand pies, I’ve just made some myself. Thank you so much Maria, I just visited your blog and saw the apple hand pies, I subscribed but I could not leave a comment even though I tried. It kept telling me to log in and when I tried it would not allow. I did however look through your lovely recipes and think they are amazing. Thank you so much for following my blog and the sweet comment. oh! that’s a great feedback, I didn’t know that was happening there, thanks! Yes it asked me to login with wordpress and when I did it said it was the wrong login information. If it’s not a problem, could you try again? to see if it’s working now? My comment is awaiting moderation, it worked. Thanks! Thanks so much Rhonda, leaf lard is regular lard but it’s high grade or quality because of where it is harvested from the pig http://en.wikipedia.org/wiki/Lard It really is good and better than your average lard. Thank you again. Wow Suzanne– you’re better than wikpedia– questions answered right to my comment column! thanks! These look absolutely wonderful, Suzanne!! They were really good. Thanks Patty. It was a winning combination for sure. The little pies were delicious. Thanks Margot. These little pies look so delicious and fruity Suzanne! A great offering for the party! Thanks Katerina, I thought they would be nice for a party! You bring the beverage I’ll furnish the pie!!! Yes, would love that. Thank you for re-blogging Cindy! Thanks so much Jhuls, can’t get enough peaches this time of year. Peach treats just seems like the perfect partner for Summer days. I am loving these hand pies! Peaches, like tomatoes and corn just SCREAM summer to me and there is something about a fresh peach that makes me happy. I loved these little pies, they were yummy, thank you so much. Oh wow, that has me drooling also, thinking about this giant Georgia peach I once had. I must have looked like a messy child after eating it with peach juice on my clothing, oh it was so good I can still almost taste it. Thank you so much, the glaze was really good on the pies too! Love these hand pies! I have been wanting to make hand pies for a few years and never seem to get to it. I have been buying Frog Hollow peaches too! They really are superior peaches. My market actually had samples of both peaches side by side and you could really taste the difference. Love your glaze and perfect flaky crust! They truly are the best peaches, nectarines also. Delicious and juicy and flavorful each one. Thanks so much. I love the idea of hand pies. No one has to share, and you can present them in such arrangements when entertaining! I am pinning these for another day. I love hand pies, like you said individual portions, less messy too! Thanks so much. I like the sound of your glaze. Very inventive! Think i will have to try making these this afternoon! Thanks so much Cindy, i really hope you like! I want one of these right now! And a buttermilk glaze?!?! Gah! That glaze really took the peach pie to another level, really good, thanks so much Em! Swooooon! Seriously. Love the photos and the recipe. YUM! They were totally delicious, I am making another batch, can give you one if you like. Those hand pies look pretty amazing…and I’m slightly envious that you are able to get such delicious peaches…ours that can be found in the grocery are a little lacking and you never know what you will get. I usually have better luck with nectarines. I thought our peaches were good until I tasted the frog hollow peaches, wow, what a difference. They were tremendous, This would be equally good made with nectarines of course. Thanks so much. Must be those peaches are so tasty, and I’d rather eat them raw than add to a pie. 😀 And I totally agree with you about pies, it’s never enough! I could eat a dozen of your scrumptious pies! Eating those delicious peaches as is, au naturale is the best for sure but couldn’t eat them all before they got too soft, so sliced made some into pie and froze the rest for future pies. They are amazing peaches. Thank you so much. These pies look so yumm ! Oh my gosh, would I love to live near you. We would have some great adventures. You could eat whatever you want and I would so love the company!! look lovely – love peach if you get a good one! My neighbor had a peach tree like that, sad really she brought me a whole basket of peaches one year I ended up throwing away they were terrible and there was no salvaging them for any purpose. I really love the idea of these handpies. What a great way to keep the fruit soft and moist. And the glaze sounds to die for – great idea! Thank you, I love the small pies, they don’t get soggy quickly like a large pie, are manageable to eat and there is portion control. That glaze is great, thanks. Buttermilk is becoming more and more popular in the UK, but to see it mixed with molasses and used as a glaze is revolutionary. Thanks for the inspiration! Thank you, it was great on the pies, just a hint of molasses in the buttermilk was wonderful. Thank you so much.